The board of directors of a nonprofit arts organization can and should play an important role in planning for and adopting community engagement as a crucial mission strategy. There is a tendency on the part of some (I have been guilty of this myself) to view the board as an obstacle to be overcome in this work. Yet the board’s potential as a resource for supporting community engagement is considerable and we owe it to ourselves to find productive means of tapping it. However, the board’s potential for supporting community engagement can be limited if it does not have a clear understanding of and commitment to its more general roles and responsibilities. Boards certainly have a fiduciary responsibility, including ensuring (through participation in fundraising) that the organization has the necessary financial resources. They also have more wide-ranging internal responsibility for the health and welfare of the organization (e.g., maintaining faithfulness to mission, ensuring adherence to laws and regulations, and setting values and vision) as well as external responsibility to make certain the organization furthers the public good. Unfortunately, too many boards are not aware of these (and many other) responsibilities and are thus ineffective in supporting the work of the organization. In some senses this should not be surprising. Outside the nonprofit world, there is very little understanding of the nature and function of 501(c)(3) organizations. As a result, few people come to nonprofit board service with a clear view of the nature of the work. Further, in an effort to secure board members, expectations are sometimes minimized while training is limited or haphazard. And for too many, board service consists of boring meetings that have little purpose or meaning and of tasks that are not challenging or interesting. This can be made worse by a chief executive's lack of enthusiasm for the board's input. Since boards are a required fact of nonprofit life, it is in the interest of the organization to take advantage of their potential. The keys to doing so are effective recruitment and training processes; creation of a culture in which meetings are productive, meaningful, and even fun; and establishment of a mechanism for board evaluation–annual evaluation of the board as a whole and of members individually. 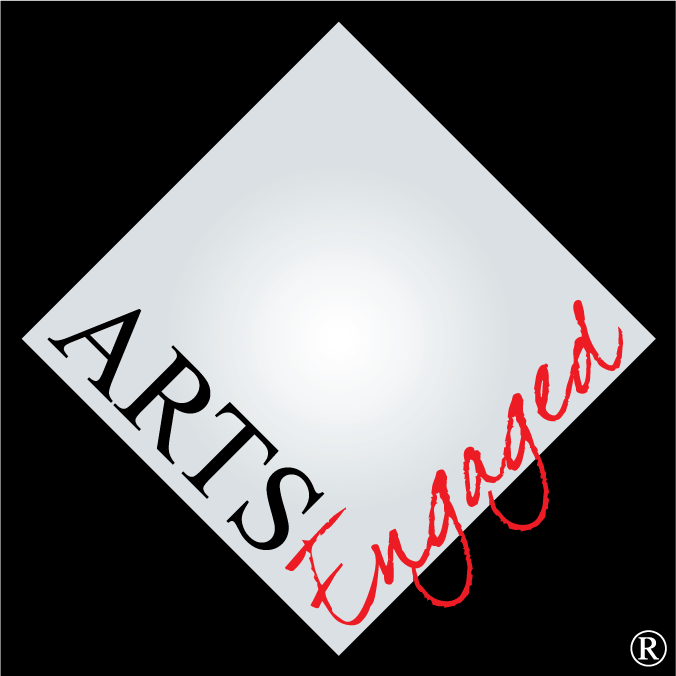 A board can participate in the development and implementation of an arts organization’s community engagement plan without being a fully functioning board. However, the chances of success in doing so are limited to its overall level of competence. Board members serve arts organization because they like things the way they are. While, on reflection, this seems obvious, it is often a surprise to people that boards are not anxious to embrace change. This is not simply a reflection of the inherent conservatism of institutions; it is a manifestation of the fact that individual members do not, for themselves, see a need for change. Acknowledging this at the outset will help in developing a plan for educating the board about the need for and value of community engagement. Some community engagement activists hope that, at best, the board will not actively oppose community-oriented planning and programs. Given the importance of the board’s role in the organization and the forms of significant support it can provide, I now believe that the board “not standing in the way” is far too low a goal. We need to work with our boards to develop in them enthusiasm for the relevance, vibrancy, and sustainability that community engagement can offer. Certainly, boards of directors have long been seen as vehicles for providing financial support. They have also been understood to be valuable for the power connections (political, corporate, social) they have. However, in engaging with communities with which an organization has little history and few personal relationships, individuals who have community connections with the groups the organization is trying to reach are priceless assets. Not infrequently those communities have only vague (or sometimes even negative) impressions of the arts organization. A board member with “street cred” can provide a foundation on which trust can be built between the organization and the community. There is no amount of money that can accomplish that; it’s a resource as least as valuable as a large donation. So, when an organization commits to engagement, consideration should be given to recruiting board members who are passionate about the art and who are respected by the communities the organization is seeking to reach. Since the inertial tendency of a nonprofit arts board may be ambivalent (or worse) toward community engagement, it is important to develop a strategy for developing enthusiastic support. The first step is to identify and then enter into preliminary discussions with current board members who are either already in favor of stronger community ties or seem willing to consider the position. (This is also the first step when considering a similar effort with arts organization staff members.) When ready, these board members will be able to provide guidance and to lead the process of educating the full board. Advocating for community engagement should begin with clear explanations of what community engagement is and addressing misconceptions about it. Beyond that, the board needs to understand the rationale for an arts organization pursuing a community engagement agenda. Generally, the reasons fall in one of two categories: fostering sustainability and achieving far greater relevance. The former addresses the social and economic challenges that demand broadening the organization’s reach into the community; the latter the potential for significantly increased support. Since these could be construed as “sticks” and “carrots” arguments, as much focus as possible should be placed on the “carrots”–the excitement and expanded influence that community engagement can generate. In addition, reassurance that the entire organization will not be radically changed overnight is critical. The process of effectively developing relationships with new communities demands time and programming necessarily follows that process. As a result, best practice in community engagement demands slow, incremental change. When the majority of the board has become convinced of the value of community engagement, it is important for there to be a public commitment to engagement. When new communities meet representatives of arts organizations they often assume the sole intent of the organization is to get them to buy tickets or make donations. That is many people’s experience with the arts. Successful community engagement needs to be based on mutual benefit. An official statement of the organization's reasons for engaging and a commitment to mutuality can be a starting point for building trust. Sample wording for such a statement can be found here. Articulating organizational values, vision, and mission is one of the most important responsibilities of nonprofit boards. It is an aspect of board governance that has the potential to energize every member and galvanize them into passionate commitment that spills over into all board functions. Enlisting the board in establishing community engagement as a strategic priority for the organization has the potential not just to support engagement but to make the board more effective in everything it does. Finally, it is valuable to include the board as partners in the on-going process of engagement. Members should have input into the plans and be utilized as relationship builders. Where they have their own community connections they can lead. In other cases they can assist in developing and maintaining relationships with new communities. This is particularly important since staff members do not have the time to do much more than (at best) coordinate such work. The board of directors is a legally required element of nonprofit organization management. It can be viewed as an obstacle to ignore or work around or it can become a resource to employ in the service of mission of the organization. It will be far better for the health of the nonprofit and the work of community engagement if its members are enlisted in the service of engagement. They represent great potential in relationship building. Indeed, given the time-intensive nature of working with communities, they may be among the most important assets to employ. Visit outfitters4.com to learn more.